Fictional character is an ontologically ambivalent category — at once a formal construct and a quasi-person — which lies at the heart of the life of textual fictions of all kinds. 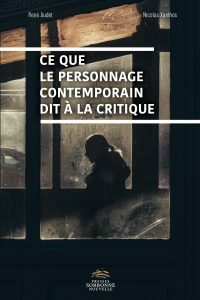 Character and Person explores that ambivalence by investigating not only the kinds of thing that character is but how it works to engage readers and the range of typologies through which it has been constructed in very different periods, media, and genres. John Frow seeks to explore the ways in which character is person-like, and through that the question of what it means to be a social person. His focus is thus on the interaction between its two major categories, and its method involves a constant play back and forth between them: from philosophical theories of face to an account of the mask in the New Comedy; from an exploration of medieval beliefs about the body’s existence in the afterlife to a reading of Dante’s Purgatorio; from the history of humoral medicine to the figure of the melancholic in Jacobean drama; and from Proust and Pessoa to cognitive science. What develops from this methodological commitment to fusing the categories of character and person is an extended analysis of the schemata that underpin each of them in their distinct but mutually constitutive spheres of operation. À explorer davantage pour voir notamment l’arrière-plan critique (quelles sources, quel bassin critique…). Cette entrée a été publiée dans Parutions récentes le 20 janvier 2015 par René Audet.